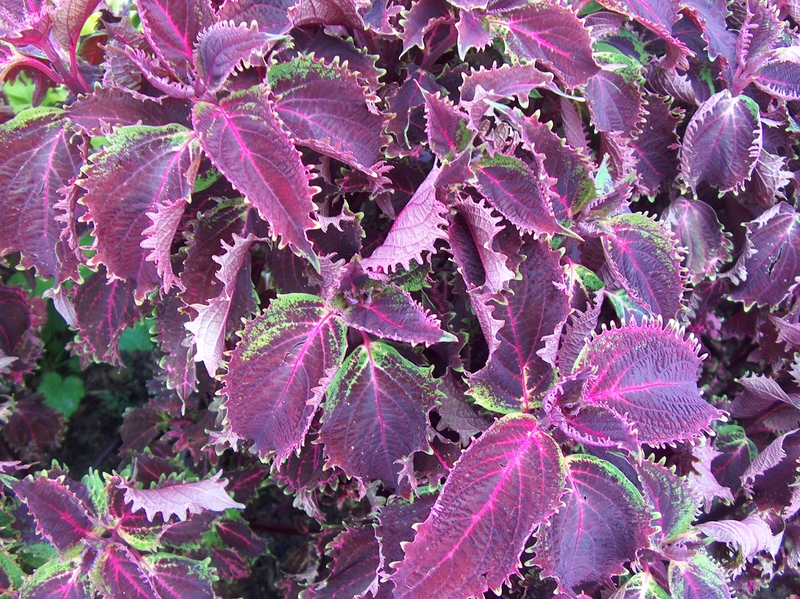 Comments: This coleus produces a rich, nearly metallic burgundy colors with narrow green margins around the edge of the leaves. Take cuttings of your favorite coleus and place each in a moist soil mix or water. Rooting will occur in about a week to ten days.